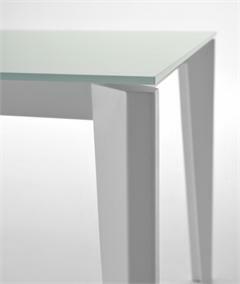 Diamante Extension Dining Table by MIDJ in Italy Furniture with unique Cristal Ceramica top of glass with a ceramic coating to resist scratches and heat. 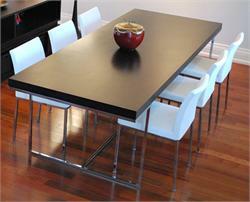 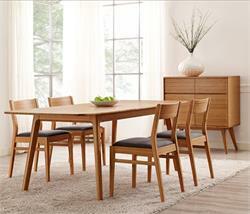 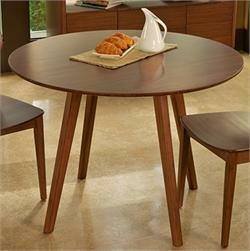 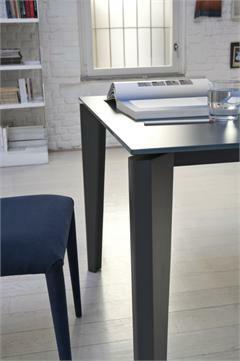 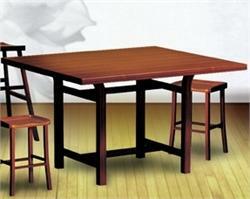 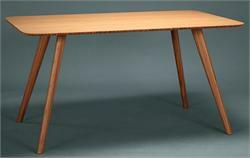 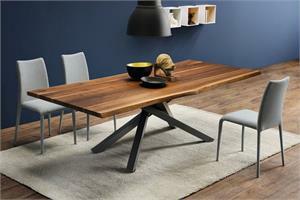 Dining Table top is extendable with a lacquered wood extension section (see options above for size, color and finish). 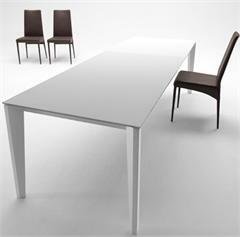 Use MIDJ Diamante Table as a dining table, restaurant table, conference table for home, office, restaurant and hospitality furniture settings. Modern elegant Italian dining room table design with timeless styling for modern homes, offices, restaurants and hotels.